Over 70 years of combined accounting experience with: litigation consulting, business valuations, forensic accounting, accounting fraud, damage calculations, and other litigation advisory services. 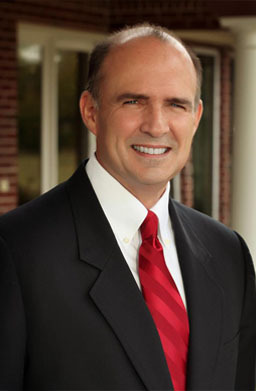 James G. Herblin has over 35 years’ experience in accounting. Today, he focuses his attention on providing business valuation services, forensic and fraud accounting, litigation support, attest, accounting and tax, and business consulting services. Herblin, P.C. was founded in 1992. Herblin personnel are characterized by notable ethical and moral standards in our business. Herblin executive has over 70 years of combined experience, and our case methodology takes full advantage of this experience. A senior executive will control your case from start to finish. By working cases in this manner, our executives have a better working knowledge of the facts of your case, therefore offering credible expert witness testimony. Herblin’s primary litigation support services are litigation consulting, business valuations, forensic accounting, accounting fraud, damage calculations, bankruptcy accounting, personal injury, and other litigation advisory services including expert witness testimony. Herblin also provides tax preparation services for attorneys, and outsourced CFO services to the owners of legal firms. President. Primary services are litigation support consulting, business valuations, forensic accounting, damage calculations, bankruptcy accounting, and other litigation advisory services, including expert testimony. Provide auditing, accounting and tax services and business acquisition due diligence consulting services. Jones, Herblin & Co.--1997 to 1998. Executive vice-president. Primary services included litigation support consulting, business valuations, forensic accounting, damage calculations, including expert testimony. Provide auditing and accounting. Herblin & Co.--1992 to 1997. President. Primary services were litigation support consulting, business valuations, forensic accounting, damage calculations, bankruptcy accounting, and other litigation advisory services, including expert testimony. Provided auditing and accounting and commercial real estate due diligence and valuation services. American Eagle Group, Inc.--1991 to 1992. Treasurer. Responsibilities included collection of over $100 million in annual premiums and the payment of over $100 million in claims for this aviation related insurance company. Established strict collection policies and procedures and reduced delinquent receivables by over 50% in less than 9 months. Arthur Andersen & Co.--1986 to 1991. Manager in the financial consulting and audit division. Responsible for all aspects of professional services for clients ranging in size from less than $5 million in assets to over $5 billion in assets. Clients were primarily in the financial services (banking and savings and loan associations) and real estate industries. Performed numerous real estate related loan due diligence engagements. Shelby Rucksdashel & Jones--1985 to 1986. Served on the firms largest audit client and assisted this and other savings and loan associations with their financial reporting, accounting, and internal control policies. Guaranty Federal Savings and Loan Association--1984 to 1985. Controller. Managed the financial and regulatory reporting, management information, accounting, and financial analysis departments. Arthur Andersen & Co.--1980 to 1984. Audit senior. Executed audits for a variety of clients including real estate developers, banks and savings and loan associations, including the largest real estate developer and the largest savings and loan association client in the office. Texas A & M University–B.B.A. in accounting, 1980. Certified Public Accountant licensed by the Texas State Board of Public Accountancy.